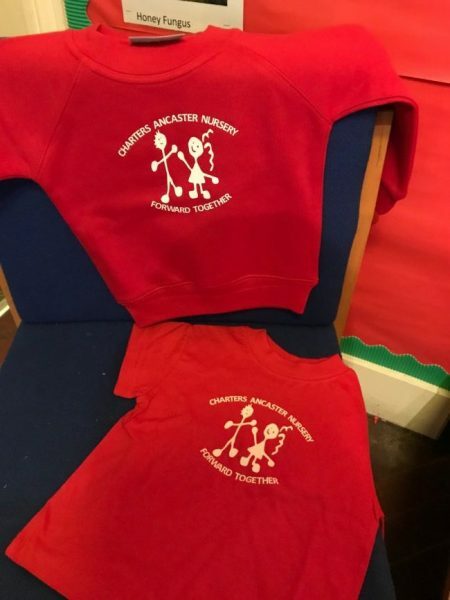 A red sweatshirt and a red T-Shirt with logo which can be bought from the Nursery Office are optional. A full set of spare clothing in a bag, daily. A water bottle, brought daily and named. Joggers or leggings – they are preferable to jeans for children when using the toilet or for nappy changing and also more suitable for Forest School. A waterproof all-in-one suit for outside play and Forest School. Warm clothing for colder days including coats, hats and gloves, all named. Sun cream may be applied before arriving at Nursery. All-day children may bring sun cream in to be applied at lunchtime. Nappies and wipes should be provided for children who need changing during the day. Extra pants if your child is undergoing toilet training.